CloudRouted is pleased to offer CloudHLS, a proven HLS Delivery Platform that offers a 100% SLA to ensure your Video Streams are always online. Our technology boasts our very own version of the proven Flussonic Media Server that leverages our very own proprietary software providing superior services with a completely agnostic self healing and inflatable/de-flatable capacity that can handle the most demanding needs. If you interested in our CloudCDN please use our General Contact Form for your questions. Please be as Descriptive a Possible outlining your needs. We do not offer shared CDN Services and all CloudCDN Set-Ups are custom, fully managed and maintained Solutions. CloudRouted was founded by the Founders of Flussonic Media Server which gives a unique edge, whereas most other CDN and Video Streaming Services license other media servers like Wowza our core technology, Flussonic was specifically developed for HLS Delivery on the CloudHLS Network. The CloudHLS Network is the first global network designed exclusively for Video Distribution (Video Distribution Network or VDN.) The CloudHLS Video Distribution Network (VDN) was designed to offer Telco grade Quality Of Service while maintaining a 100% uptime. 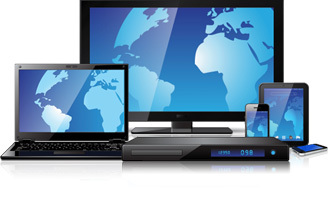 Unlike the topology of typical CDN Service Providers, which have multiple servers across multiple networks, that only focus on static file distribution, the CloudHLS Network is one interconnected network that offers the ability to provide true Point to Point Streaming Services for Live Streaming and Video on Demand. The CloudHLS Network boasts un-parallel fault tolerance and self healing capabilities that is built using Proprietary Artificial Intelligence Technologies that make the entire CloudHLS Network self aware of the individual streaming nodes (CloudHLS Platforms) and public transit that delivers the streams to your clients. This technology enables the CloudHLS Network to not only self heal, but dynamically load balance, and dynamically route your video streams across private trunks, providing unsurpassed up-time and seamless fail over mechanisms using our very own CloudDNS. Many of these fail over mechanisms are done via specific algorithm feedback from our network of CloudBalancers, CloudDNS, and Core Routers. Each individual CloudHLS Node, that makes up the CloudHLS Network, boast 80gbps of bursting capability, giving the entire CloudRouted Network over 1,100 GBPS (1.1TBPS) of total public and private throughput capabilities. Each individual CloudHLS Platform provides specific feedback through the CloudHLS Network, these feedback algorithms allow each independent CloudHLS Platform to be self aware of themselves, thus making the entire CloudHLS network self aware of its over all health, individual platform health, public bandwidth health and best alternative routes based off of the threshold limitations and/or statuses of each individual CloudHLS Platform. Ready to get started with an Afforable Custom CDN Solution? Feel like our Custom CDN Solution will fit your needs? If so please use our Standard contact form and be as descriptive as possible in your current needs. We will respond to your questions within 24 hours, typically within 1 to 2 hours.